Carnegie Mellon University art and drama experts say new technologies will create a sea change in artistic production in 2019, delivering new ways to bring magic to the theater and creating a more diverse and inclusive world of art. With the new year days away, Charlie White, head of Carnegie Mellon's School of Art, and Peter Cooke, head of CMU's School of Drama, weigh in with their predicted trends for the coming year in art and drama. White said artificial intelligence and machine learning increasingly will be used in art pieces — creating more complex pieces as the technology develops. He also expects more artists of color to be at the center of the art world's conversations. Cooke said more theater productions will use robotics to wow audiences in a trend that we've begun to see with this year's "King Kong." He also sees classic Broadway musicals making a comeback. White and Cooke's full predictions for 2019 are listed below. "Just as Conceptual Art redefined the parameters for artistic practice in the 1960s and '70s, you are seeing a similar shift in how technology is challenging artistic production today. This trend will be more evident in the next year. Artificial intelligence and machine learning are still in their early stages, and as they develop, you will see more complex and interesting work being created. "Due to the vast amount of technical knowledge needed, using these tools for art will require greater collaboration, bringing artists, academics, and technologists together and opening up the art world to those traditionally outside its borders. However, these new fields will only be impactful if they are inclusive and diverse, because the technology alone will not make it meaningful art, only the ideas and identities realizing it will. "2019 will also see the continued trend of more artists of color integrated into the art historical cannon and more contemporary minority artists at the center of artistic and cultural conversation. In 2018, institutions made strides in celebrating work by both historical and contemporary African-American artists. In the last year, for example, The Andy Warhol Museum in Pittsburgh opened the first solo show of CMU School of Art Professor Devan Shimoyama, whose work presents daring and personal representations of the complexities of race and sexuality; the Museum of Contemporary Art Chicago mounted a major survey of often-overlooked artist Howardena Pindell; and the Baltimore Museum of Art sold off works by Warhol, Robert Rauschenberg and Franz Kline to free up funds to purchase contemporary works by artists of color. With the current political climate, it is more important than ever to center these essential voices, and institutions will continue to work to rectify long-held biases and imbalances." "As we look to the year ahead in theater, I imagine we will continue to see more productions both on and off Broadway that explore the intersection of arts, technology and engineering — much like we have seen in the current production of 'King Kong.' Finding new ways to create magical events on the stage through robotics and projection will be a trend. "While this year we've seen a lot of 'jukebox' musicals come to The Great White Way, I suspect that the big, classic Broadway musical will make a comeback for the 2019-2020 season. 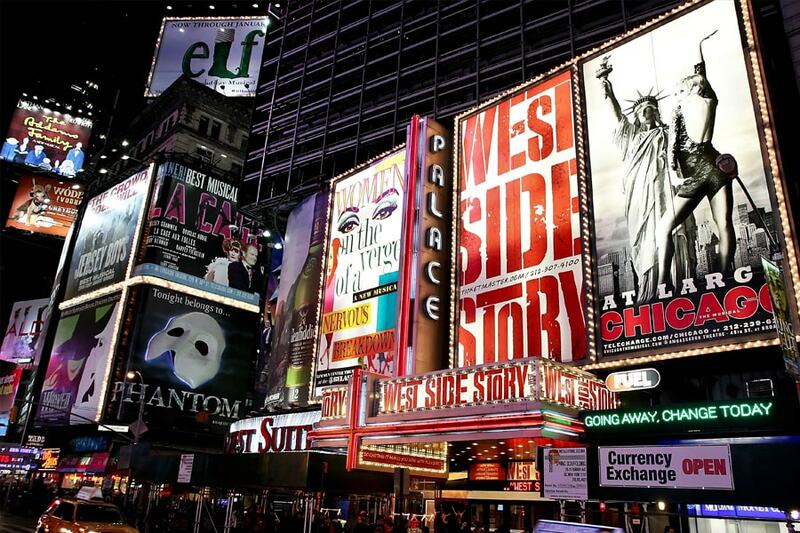 Productions such as Ivan Van Hove's revival of 'West Side Story' and 'Moulin Rouge!' transferring from Boston have already been confirmed. "If the work of our current students is a harbinger of what is to come, I know that intersectionality will be at the forefront of artists' minds as they create new work. So many of our artists here at Carnegie Mellon's School of Drama are also activists looking to share a message with their work." Peter Cooke, head of CMU's School of Drama, predicts more productions both on and off Broadway that explore the intersection of arts, technology and engineering in 2019.